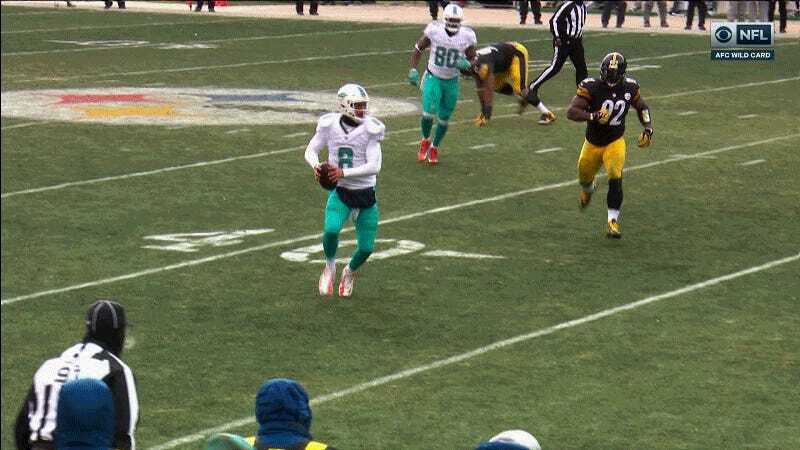 Bud Dupree’s crushing, and penalized, hit on Matt Moore knocked the Dolphins quarterback out of the game for a play as Miami attempted to come back from a 20-3 deficit in Pittsburgh. The unnecessary roughness call ended up giving the Dolphins a first-and-25 after Miami drew its own unsportsmanlike conduct foul in the fight that resulted from the play. Moore’s already Miami’s backup quarterback, and things were never looking good for them to win today.